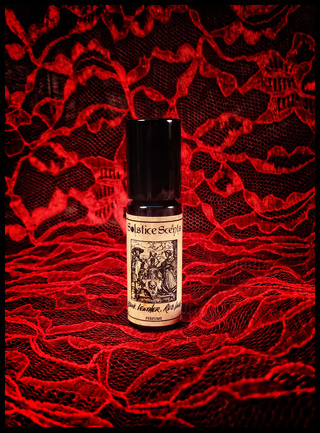 The Valentine's release will go live at www.solsticescents.com at 7 pm EST. An at-a-glance breakdown of the returning products as well as General Catalog restocks that will be offered is below. A detailed description of the perfumes will be just below. Please note that the Cherry Cordial Whipped Soap and Glace and the Cocoa Mallow Whipped Soap are LIMITED RELEASE. There are no plans to restock these items and the quantity is limited. These fragrance are *not available in perfume format*. Please do not request them in your sample packs or as your free sample. When purchasing a sample 5 or 10 pack, please click the listing and scroll slightly down to read the perfumes that are available and see which are not in stock or excluded. For instance, The 'Estate' series of perfume (Estate Vanilla, Estate Amber, Estate Rosewood, etc), White Feather and Desert Thunderstorm are all Eau de Parfum (EDP) exclusives and are not eligible in the sample packs or as a free sample at checkout. These perfumes are best experienced atomized. Samples are sold in the 2.5 ml EDP sample spray format. The Valentine's Day perfumes are available in the 5 and 10 sample packs. Just leave the perfumes you want in the box on the listing. A stirring blend of amber, vanilla and black leather. 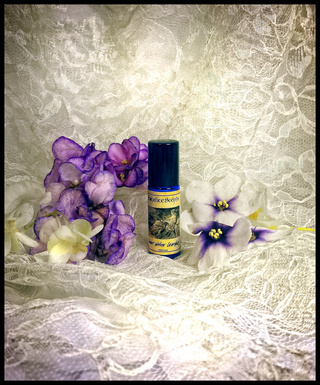 Available in 5 ml perfume roll on and in the 5 or 10 sampler packs as a 1 ml sample. Milk Chocolate, Dark Chocolate, Maraschino Cherries & Black Cherry. Contains Cocoa Absolute. A medley of black cherries and maraschino cherries enrobed in milk and dark chocolate. Cocoa absolute has been added to this blend to enhance the rich chocolate note. The blend starts out with a heavier cherry note but quickly settles down into a very nice gourmand blend of both chocolate and cherry. Juicy, sweet and edible smelling! Due to the small content of orange essential oil, do not apply prior to prolonged sun exposure. 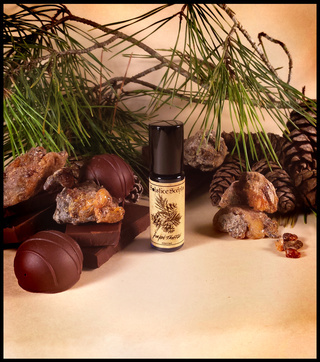 Amber heavy blend with boozy vanilla, cherry, whipped cream and a light top note of sweet orange essential oil. 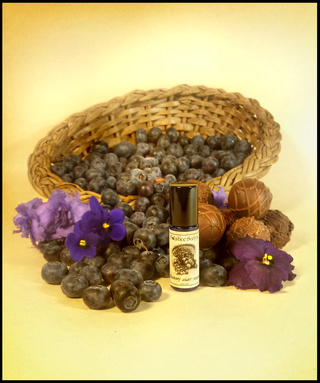 "Amberosia" is a play on the dessert "ambrosia" because this perfume has a dominant amber scent. Very dark chocolate and violet fragrance. Opens with a bit of wet and Earthy violet absolute, dries down to soft violet petals with chocolate ganache and a bit of vanilla to smooth the blend out. Mouthwatering natural cocoa absolute in Organic Cane Sugar alcohol. This single note chocolate fragrance smells like a divine blast of sugared cocoa powder and sweet hot chocolate. It does contain traces of food grade additives so this perfume cannot technically be considered 100% natural. On initial application, you will experience a blast of cocoa. This soon settles down to a soft chocolate scent which hovers closer to the skin but has great staying power. Cocoa Absolute perfume is wonderful on its own but it is really special when layered with some of our other fragrances to bring additional dimension or a new twist. It layers especially well with Vanilla Pipe Tobacco, Heart of the Night, Black Forest and Blackburn's Parlor. Cocoa absolute may stain lighter colored clothing and skin. When applying the perfume, rub it in quickly as it is easier to work into skin with less chance of staining. Apply once to wrists and add another layer when dry to build the concentration of the cocoa absolute. This fragrance is surprisingly wonderful to wear to bed. The cocoa absolute used in this perfume contains trace amounts of food grade additives and therefore cannot be considered all natural. This blend contains no synthetic fragrance oils though.Please shake gently before each use as the cocoa absolute will settle to the bottom. A few shakes will quickly and easily disperse the scent evenly. Lavender Raspberry Truffle opens with a blend of five lavender essential oils, including organic and wild lavenders from Bulgaria and France. The lavender is very strong and fragrant on initial application. It is accompanied by sweet white chocolate and a hint of jammy raspberry. 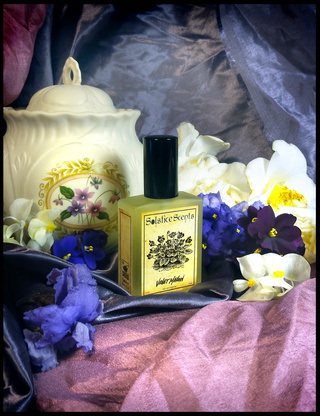 The opening of this perfume is similar to our Lavender Vanilla fragrance. The lavender settles after 5 to 10 minutes, allowing the white chocolate to peak through alongside the raspberry. The dry down of this perfume is a blend of white chocolate and raspberry and the lavender all but disappears after its initial soothing burst in the opening. The raspberry is not tart and bitter, rather it is very sweet and incredibly jammy or like a homemade raspberry coulis with a dollop of fresh whipped cream. The tonka and organic vanilla tincture enhances the fresh jam suggestion of the raspberry note. This blend is especially lovely applied before bed. Shake gently before use. Botanical blend in organic cane sugar alcohol.